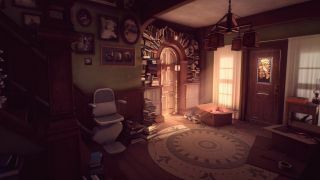 The Epic Games Store has revealed the next game giveaway it has in the wings, which is What Remains of Edith Finch, a freebie that will go live on January 10 (through to January 25). Self-billed as the ‘best game you haven’t played’ – a marketing soundbite which is quite possibly true in this case – it’s an adventure where you play the eponymous heroine and explore the house of your childhood, discovering how the various Finch family members died. So yes, it sounds a little off-the-wall and odd, but this short interactive movie-style outing possesses a charm of its own, and is beautifully written to make it a touching affair, avoiding any danger of veering into seriously depressing territory. It was released to critical acclaim back in 2017, and picked up a ‘best game’ BAFTA, plus it’s strong enough to still be featured in our roundup of the best Steam games. Although if you buy it on Valve’s store right now, it will set you back £14.99 or $19.99 (around AU$28). This is all part of Epic’s drive to get its store going by giving away a free game every two weeks. Incidentally, Super Meat Boy is the freebie which is available right now, and would normally set you back £10.99 (around $14, AU$20), and as mentioned, What Remains of Edith Finch will be given away come January 10.